Erbil, Kurdistan Region, Iraq (cabinet.gov.krd) – Kurdistan Region Prime Minister Nechirvan Barzani received Mr. Abu Magsoud Forhad, Bangladesh’s Ambassador to Iraq. Ambassador Forhad discussed his government’s intention to open in Erbil an office of his country’s Iraq embassy. Discussing the situation of the Bangladeshi nationals, resident in Iraq and Kurdistan Region, he said opening of embassy’s office in Erbil will facilitate the affairs of the Bangladeshi citizen’s in Kurdistan and will also help strengthening bilateral relations between the Kurdistan Region and Bangladesh. He expressed his country’s willingness to develop cooperation programmes in the areas needed in Kurdistan Region. 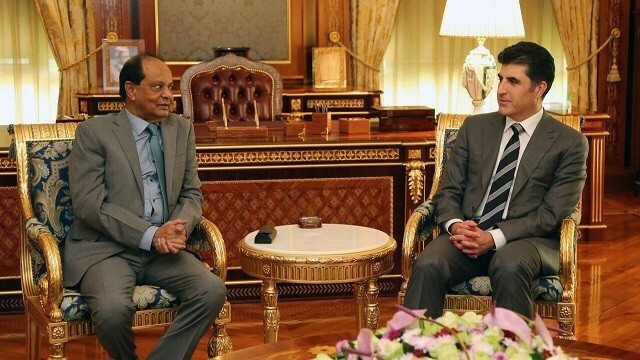 Prime Minister Barzani expressed his government’s willingness to develop bilateral relations with Bangladesh. 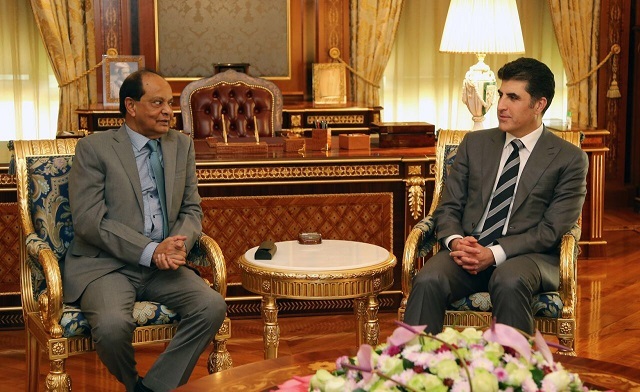 He expressed his government’s readiness to offer all the needed facilities to the Bangladeshis working in Kurdistan. He also suggested that a joint entity could be set up between the two sides helping the Bangladeshi workers to come and work in Kurdistan officially through their government agencies. The two sides also discussed the possibilities of cooperation in various fields particularly work force, industry and construction sectors.